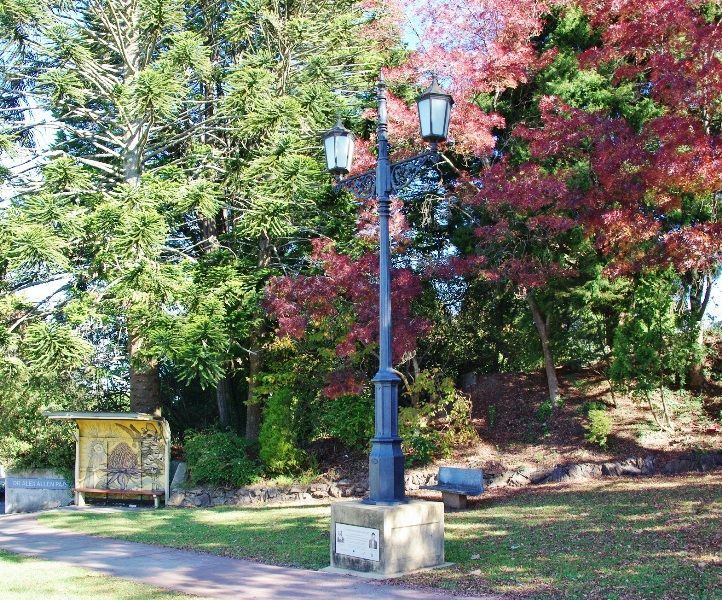 A gas lamp commemorates those who developed the tourism industry in the Blue Mountains. In recognition of the fathers of Blue Mountains` tourism and their efforts in promoting the region. 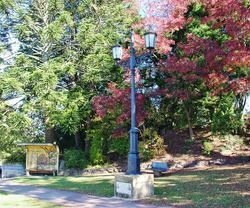 This lamp post is a reproduction of a gas light originally located on the corner of Katoomba Street & Bathurst Road in the 1890s. Donated in 2012 by the Hammon family and Scenic World with generous assistance from Weidmuller Pty Ltd, Ian Hayes (BE, FIME, MIE Aust), and the North family.